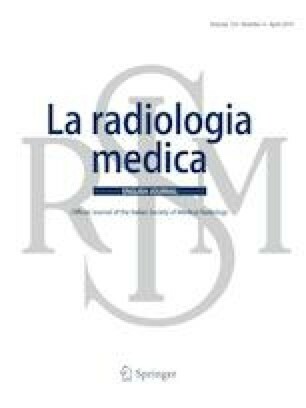 To evaluate the use of radiotherapy (RT) for oligometastatic cancer (OMC) among radiation oncologists in Lombardy, Italy. A survey with 12 items regarding data of 2016 was sent to all 34 Lombardy RT centers. The survey included six general items and six specific items regarding patient/disease/treatment characteristics. Thirteen centers answered the survey (38%). All centers responded to general items and 12 centers submitted patient/disease/treatment data. General items The majority of centers (8/13) consider OMC if metastases number is less than 5. The most commonly prescribed dose/fraction is 5–10 Gy (8/13) using schedules of 3–5 fractions (11/13). Patient data items A total of 15.681 patients were treated in 2016 with external beam RT in 12 responding centers, and 1.087 patients were treated for OMC (7%). Primary tumor included lung, prostate, breast, colorectal and other malignancies in 33%, 21%, 12%, 9% and 25% of all OMC patients, respectively. Brain, lymph node, lung, bone, liver and others were the most common treated sites (24%, 24%, 22%, 17%, 8% and 5%, respectively). One and more than one metastasis were treated in 75 and 25% of patients, respectively. The vast majority of patients (95%) were treated with image-guided intensity-modulated RT or stereotactic RT. Seven percent of all RT patients in Lombardy are treated for OMC. Extreme hypofractionation and high-precision RT are commonly employed. The initiative of multicenter and multidisciplinary collaboration has been undertaken in order to prepare the platform for prospective and/or observational studies in OMC. We thank the AIRO-Lombardia, for the excellent coordination of the activities through the Lombardy centers, and Fondazione IEO-CCM. The authors have no disclosure of potential conflicts of interest. This is a survey among radiation oncologists. No formal consent is required for this kind of studies.